National Gift Card is proud to introduce the Audible egift Card! 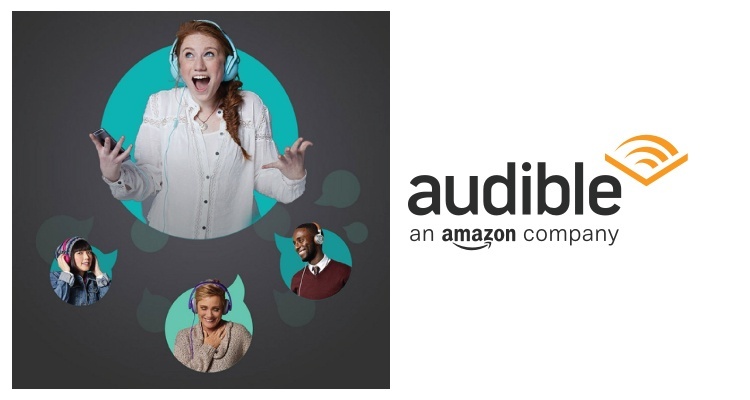 Audible is the leading seller and producer of spoken word content and has the world’s largest library of 180,000+ audiobooks. Don’t like to read? Luckily Audible is more than just books, members also receive unlimited access to dozens of Audible playlists and original series from various Audible Channels. Members listen to content anywhere and everywhere they are with the free Audible App. Audible can be used on mobile devices, tablets, computers and echo devices. Audible is truly a unique card in which the end user can find many reasons to subscribe. A regular day of recording takes place in one of Audible’s six on-site recording studios. About a fifth of the company’s 100 or so voiceover artists who regularly record are professional actors who live in New Jersey, and many have Broadway credits. Other well-known names, like Colin Firth, Nicole Kidman, Dustin Hoffman, and Kate Winslet, provide recordings at off-site studios. Audible is a subscription based platform. NGC offers 3 month ($45.00) 6 month ($90.00) and 12 month ($150.00) eGift memberships. Contact your sales representative today to add Audible to your program.